So what makes a module great. I'm not going to even attempt to lay out any guidelines. Maybe the design is great, maybe the graphics are fantastic, maybe the players aids are wonderful, or maybe the module demonstrates great love by a passionate fan base. Whatever. 1: Create a geeklist item or items for those modules you think are the best for whatever reason. 2. Describe briefly what is great about the module - why you are posting it. 3. Vote for your favorites by thumbing them. What caught my eye with this module is that I can really see that the B-17 community has nurtured and grown this module over time. The fact that this is a solo game means that the module was designed to be used in a much different way than other modules - solo only. I suspect that the fans of this game are using it and suggesting changes that improve the solo experience. There are also lots of extensions which introduce a variety of variants and scenarios. Well done. Joel Toppen did a bang-up job with this one. I love the Zone of Influence button and the HQ range. The way to bring in reinforcements each turn is the most clever of any system I have seen on Vassal (right-click on the turn marker, select the turn, and they all pop up next to the marker). It all makes the game so much easier to play on Vassal. Through the VASSAL module is how I learned Vietnam, and it pains me to think of playing without it (which I'm thinking about doing at next year's CSWE). The module takes care of all the markers, most of combat and all the tracking that takes so much time in person. It's still a big, long game, but the module makes it so much easier to actually play the game. All 3 modules are designed by Joel Toppen and having all three might dilute the numbers for it. He put in some really nice coding for adding markers right in the provinces, smart tracking of resources and control and easy to use set up and clean up functions. Plus they were up pretty much day and date of the board version launch, really making the games accessible to a wide range of players across the world. The game has a LOT of book keeping. The Vassal module does it all for you. When you get the econ phase, if you right click and select "refresh", it will automatically fill in values for you and do the math. It also keeps track of the abilities of each ship. Rob Doane's (and others) GCACW modules started off good and have gotten even better. They make this game playable (especially given how big the stacks of units can get). The SJII module is by Rob alone, according to the post on VASSALengine.org. I need to look at some of these modules to learn better VASSAL-fu myself. Playing the Oriskany battle from Newtown at the moment. GMT Games says the module was designed by Tim McCarron, although Vasssal says Rob Doane who designed the other Battles of the American Revolution modules - so not quite sure who the author is. The entire series is fantastic. Actions can be selected for each unit by right clicking (disrupt, fire first, rally, etc) which automatically adjusts army morale and VPs. Every chart is available too, making rules references minimal. The graphics are the best I've seen in a Vassal module. Map is easier to read than the table top game maps, as are the counters. Also excellent playing via PBeM, with detailed logfile movements that reference the hex number. Even though I own six of the BoAR games they rarely get played. If it wasn't for the Vassal modules I'd be completely BoAR-less. If Joel Toppen had a dollar for every time I launched this VASSAL module... he'd have a bunch of dollars. Thanks, Joel! What is great about this module: Well, it is complete and easily accessible. There are advanced features, but one needn't learn them to play. This game was in development while I was yet a PC gamer with an interest in the Seven Years War. Upon is publishing, I was already evolving into a boardgamer. Without it's publishing, my transformation would be incomplete, so I this module has played a significant role in my gaming life. I just sent a turn to my long-time Clash-of-Monarchs opponent today. The Vassal Modules created for this game series are in my opinion an indispensable resource for the play of these massive games. 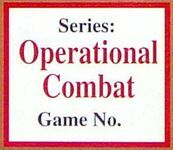 They are state of the art modules, incorporating a playable Fog of War capability, which is an important feature of the rules. Sadly the creator of these modules, George Hayward, passed away a few months ago. My addition of this entry is a small way of thanking him for his dedicated work in providing them to us. Disclaimer: I made 90% of this module. I know it's not a wargame, but the geeklist doesn't seem to specifically exclude other games so I thought I'd throw this into the mix. Mage Knight Board Game has some fairly complex elements to get working well in Vassal, with shared decks that end up split into player-specific decks, and a lot of moving parts when setting up, clearing up and taking a turn. It also has a lot of token and card-specific special rules that need to be catered for, and a lot of variants. I think I have succeeded in making the most automated, user-friendly Vassal module possible, with a ton of iterations made over the most active 6 months of development, in order to fine-tune and improve the user experience. I have this at my house and if it was not for this vassal version my friends and I would never play it. The first couple of times it takes just as long to play but after the second time you can easily shave and hour or more off, especially if you don't have people in your group who have to re read cards like they've never seen them. And even if your game is running long with the vassel version we can save it and pick up where we left off next week. Plus you don't have to dig through a pile to find the right monster for your quest, just point and click no mess.